There are a few great thinkers in the health community who are constantly on the cutting edge of diet and weight loss. One of those people is the creator of one of the most popular lower-carb nutritional approaches of the day called The Zone Diet. 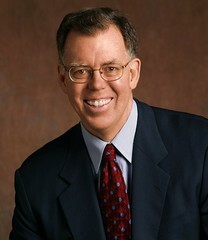 His name is Dr. Barry Sears and he has a hot new book release that you’ll definitely want to check out called Toxic Fat: When Good Fat Turns Bad. In Episode 201 of “The Livin’ La Vida Low-Carb Show with Jimmy Moore,” listen to my interview with Dr. Barry Sears as he shares about why our stored body fat is so “toxic” to our health primarily because of “silent” inflammation. Dr. Sears shares how to get rid of the toxic fat and inflammation with a unique combination of diet and fish oil supplementation (and NOT the addition of cardiovascular exercise which he says in ineffective for weight loss). Inflammation is becoming more and more popular in medical circles and we have Dr. Sears to thank for leading the charge on this subject. If you wanna make sure you NEVER miss a single episode of “The Livin’ La Vida Low-Carb Show with Jimmy Moore,” then be sure to Subscribing to the RSS feed or click on the “Subscribe” button at iTunes. If you need assistance about how to subscribe to the podcast, then just CLICK HERE for a video tutorial from my producer Kevin Kennedy-Spaien to show you how. HELP SPREAD THE WORD ABOUT THIS PODCAST! Visit the iTunes page for “The Livin’ La Vida Low-Carb Show with Jimmy Moore” and write a review about the show. This makes a tremendous impact on who accesses the show and we’ve seen a huge influx of new listeners in recent weeks and months because of the efforts of those fans of the podcast who took just a few moments of their time to leave a brief comment at iTunes. THANKS for sharing with others about my podcast and let’s keep it on the front page at iTunes heading into 2009. You guys are truly amazing people! Was there anything that you heard from Dr. Barry Sears that didn’t make sense? Or are you convinced he is 100% dead-on regarding diet and health? Share your feedback about today’s episode in the show notes section of Episode 201. 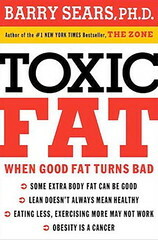 Get your own copy of Toxic Fat: When Good Fat Turns Bad to educate yourself further on this subject of inflammation and toxic fat and check out Dr. Sears’ official web site for updates on the work he is doing. Thanksgiving is over, but I’ve got a special treat for you coming up next week–THREE BIG PODCASTS! We’ll start on Monday with fitness expert Fred Hahn sharing his “slow burn” strategy for kids in his new book Strong Kids, Healthy Kids. Then on Wednesday I’ll talk with “The Spiky Haired Girl” Cameo Watkins who is making some fabulous low-carb videos on YouTube. Finally, on Friday we get a chance to relax and meditate with the wife of my podcast producer Kevin. Her name is Eve Kennedy-Spaien and she is an occupational therapist with an outstanding talent for getting people to de-stress their lives. It’s all coming up this week, so DON’T MISS IT!! !